Our engagement with the Eco Church project began in January 2018. Eco Church is an A Rocha UK project, in partnership with Christian Aid, The Church of England, The Methodist Church and Tearfund. We announced our involvement at our morning service on 21 January 2018. 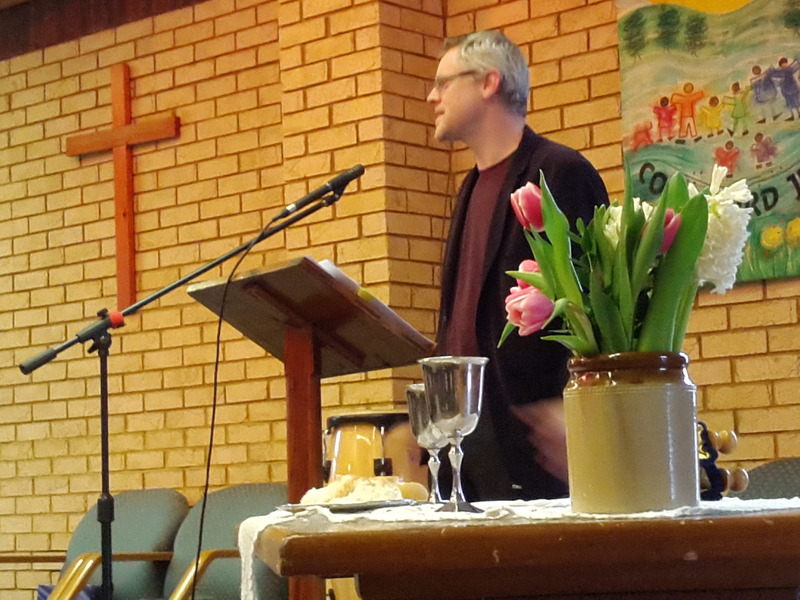 Our leader, Paul Wintle, pictured below, spoke on Jubilee, Justice and Jesus, and you can listen to the talk or read the content of his talk. Other members of the congregation introduced Eco Church and spoke about aspects of environmental and community responsibility. They included Andrew Faraday and Ruth Basden (pictured below). We already considered fair trading and the environment in many of the products we used. As examples, we already used paper that is 100% recycled for toilet paper and paper hand-towels; the weekly notices were available by email and were printed on 100% post-consumer recycled paper or on FSC-certificated paper; Tea, instant coffee, decaffeinated instant coffee and filter coffee were Fairtrade products, sourced from the Fairtrade stall at our weekly Thursday coffee morning; light bulbs were replaced by LEDs when they needed replacement. 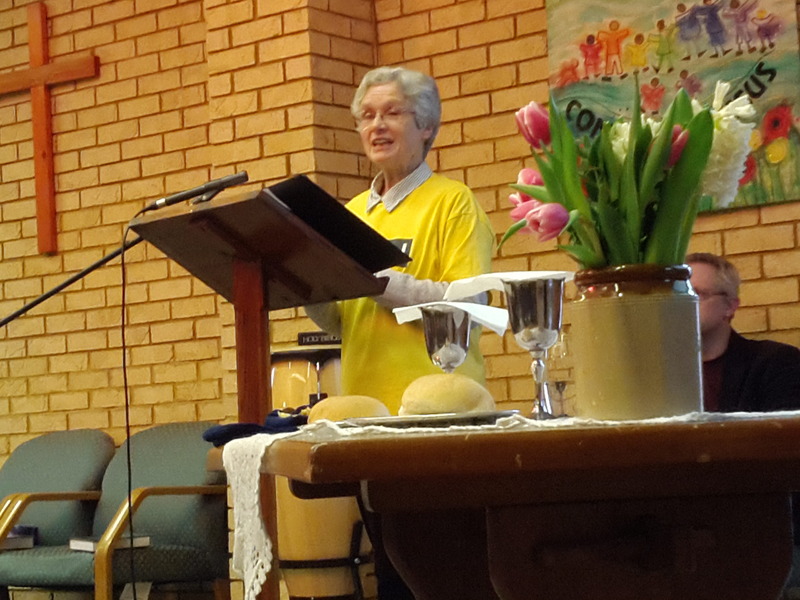 Each month we find out more about and support, both through prayer and financial giving, a mission organisation. In 2018, several of these relate to Eco Church. You can see this year’s list on our Mission of the Month web page.